If you have bought a new canvas tent/shelter/annex then one of the first things you will hear that you have to do is “season it”. For anyone who is new to this, and not sure how it all works, these tips will help you through the process. It’s not about adding salt and pepper to your tent. It’s about preparing your tent to withstand wet weather. When you first buy this shelter, it’s been put through a lot of needlework by the manufacturer, sewing all the seams, attaching separate sections of canvas together, with a lot of thread. That means a lot of little needle holes. Nothing huge, but all those holes are places where water can penetrate. These needle holes are unavoidable. But entirely fixable. So to ‘season’ your tent, it is about reducing the size of these tiny holes by adding water that will cause the canvas material to contract, but the thread will expand. When both of these things happen, the needle holes minimize. So what do you need to do? 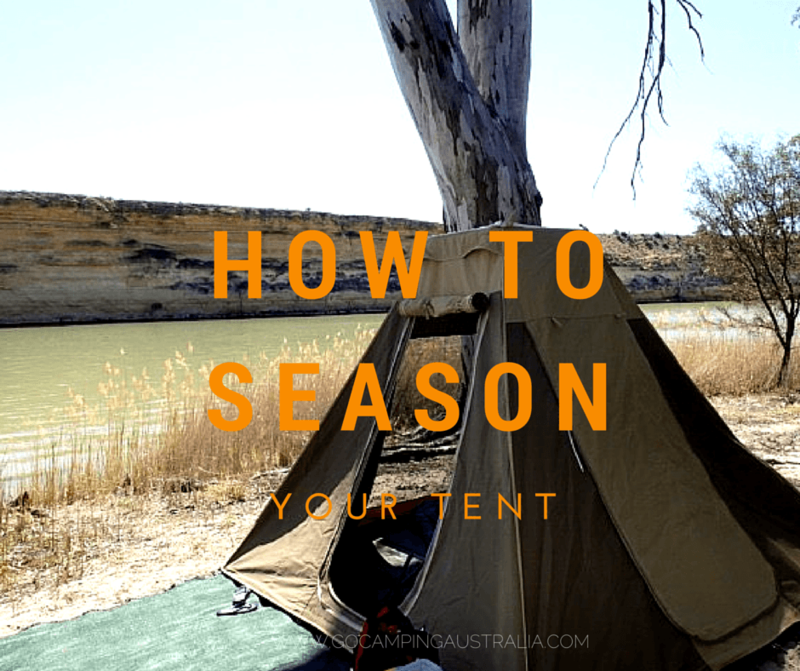 5 easy steps for successful seasoning of canvas tents. You need to set up your canvas shelter at home, and be prepared to have it set up for a few days. Set it all up as you would on a camping trip and close up all the windows and doors as if it was about to rain. Now if you don't have a backyard where you can set up the canvas shelter and leave it for a few days, which will be needed, then you need to find such a location. You will need space, time and access to a hose. You can wait for heavy rain followed by sunny, dry days but you are relying on Mother Nature and who can guarantee that the downpour will be sufficient? Plus you are counting on the sun to dry completely prior to the next downpour. That’s a lot of weather watching. You need to get your garden hose out and soak your tent, with a special focus on the seams. The first time I did our tent, I didn’t spend enough time on the seams, more on the main sides of the tent, and it wasn’t seasoned properly. A night spent in the tent (in the backyard in rain), meant that we had water come through the seams at the top of our touring tent. 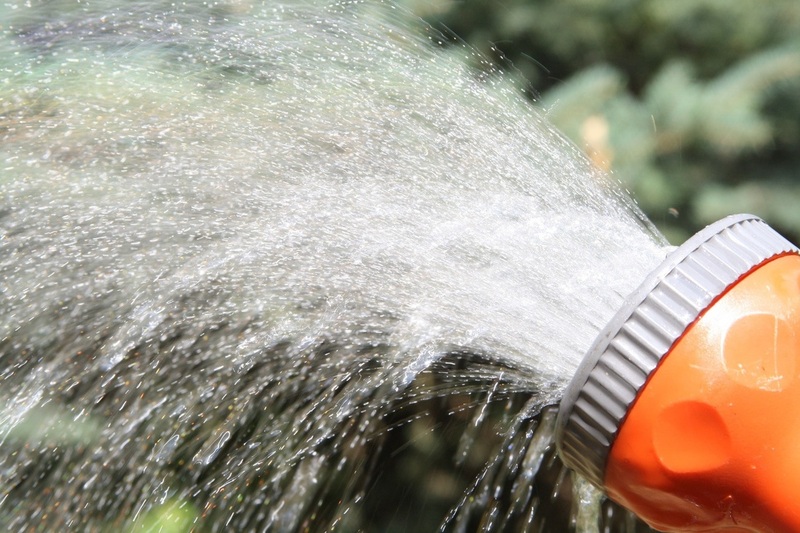 You do want to saturate the tent, so allow a good 5 minutes of forceful water from your hose on the tent. If you identified an area of the tent, which seemed like there were more needle holes than other sections, (we could see pinpricks of light in certain areas of our tent when we were in it, which helped identify key spots), give that area an extra soak. Repeat step 2, at least two more times. A good soaking is a must. The tent should be fully dried between every soaking. So you are committing to that tent being up in your yard for at least 3 days. Ideally, your tent should now be waterproof after 3 soakings, and subsequent drying out 3 times. The canvas and thread have contracted and expanded to fill the holes – naturally. It’s time to give the tent a test run in poor weather conditions. You may want to wait for a rainy day, or simulate rain in your backyard! Check inside for any leakage. There probably wont' be any but if there is, you need to go to Step 5. Should you find that there are leaks despite all the above steps, your next step would be to seal the seams. There are a number of products out there – do check with your local camping store which will probably suggest a wax stick (retails for about $7) but an old fashioned way, which still apparently works, is to get a candle and rub it along the seams. The wax of the candle provides a coating to repel the water. Your canvas tent should now be waterproof at all seams. Note: Different sealants are needed for nylon tents. The above only applies to canvas. Seasoning your canvas camping gear is an important part of the purchase but once complete, your canvas gear should be able to withstand many a torrential downpour without a problem.